We are very pleased to present the exhibition “I’m Different II” by Sayre Gomez. The show will present a new series of paintings, as well as a new site specific work, and closely follows the artist’s last exhibition “I’m Different” at Francois Ghebaly in Los Angeles. Gomezʼ paintings employ industrial application processes, such as airbrush and automotive paint sprayers, as well as techniques that have historically been used in the film and advertising industries. His representational paintings use material drawn from online image sharing platforms and are painted with their documentation in mind. Similarly, the histories and techniques being referenced mirror this idea - after all, the Hollywood backdrop isnʼt fully realized until we see it mediated by the lens of the camera. His abstract works share this relationship to representation. At first black and white, the compositions are buried under layers of pigmented varnish, creating a sensational “window” from which the abstractions peek through at differing levels of color and opacity. might originate. The Thief paintings speak not only about this phenomenon, but also about the growing ambivalence towards appropriation. Once a highly politicized artistic gesture is now understood as populous. Each painting has been augmented in a variety of ways, sometimes as subtle as a color alteration, or something as dramatic as a complete reshaping of the image itself. The show will also present a third body of small abstract paintings that will all prominently feature a silhouetted window frame. 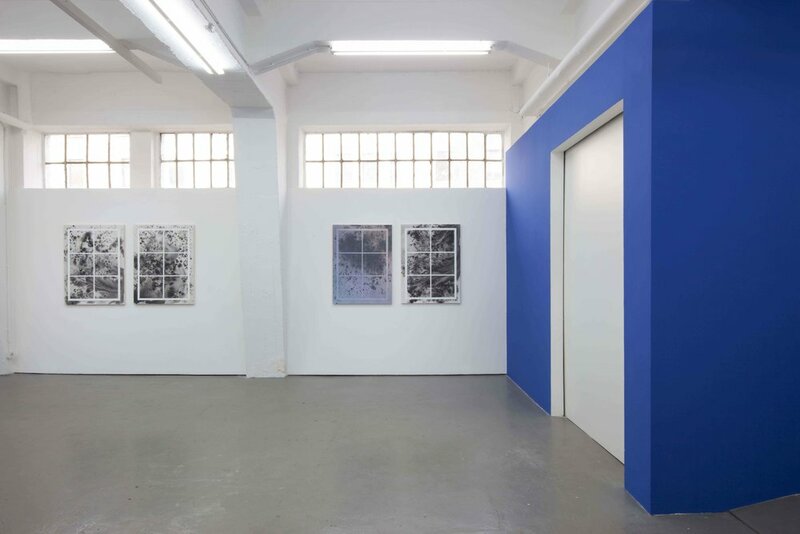 The installation-based component of the show will function simply as a gesture and will consist only of a portion of the gallery walls painted in a deep cerulean blue. 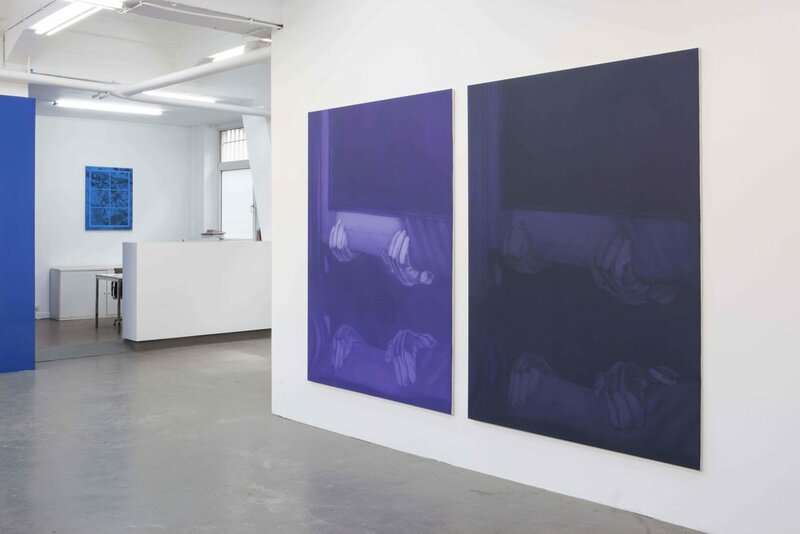 The blue color is significant to the artists’ larger painting practice, not only through his use of bold powerful colors, but also through his interest in the meaning and the contextualization of information. The works featured in this exhibition work in chorus with one another to investigate how artworks are presented and consumed. Here, all the works reference the idea of the “window” and how different “windows” may impact the way in which we interface with a cultural economy constantly in flux. Sayre Gomez holds a BFA from the School of Art Institute of Chicago (2005) and an MFA from CalArts (2008). Recent solo exhibitions include I’m Different at Francois Ghebaly in Los Angeles, Slippery at The HOLE in New York, This is to Sink at Michael Jon Gallery in Miami, and Windows and Mirrors jointly hosted by Kavi Gupta Gallery and New Capital, in Chicago. 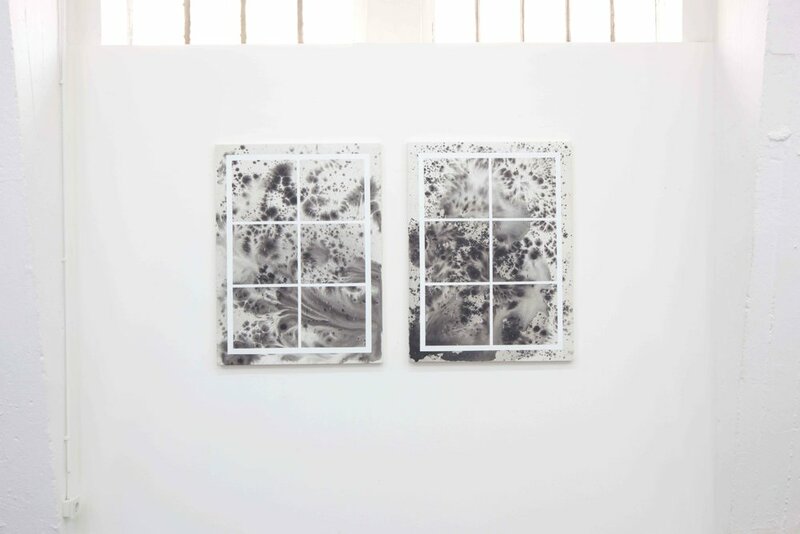 The Artist coorganized with JPW3, the exhibition Culm at Night Gallery in Los Angeles, and has recently participated in group-exhibitions at Fluxia in Milan, 356 Mission St. in Los Angeles, Clearing in New York, Robert Blumenthal in New York, Nagel/Draxler in Cologne, and Balice Hertling in Paris. Gomez’s work is included in BRIGHT! : Typography Between Illustration and Art, published by DAAB, in 2013, and 100 New Artists published in 2012 by Lawrence King, UK. His work has been featured in various publications and blogs such as Artforum Magazine, Artforum.com, Contemporary Art Daily, and Flaunt Magazine.